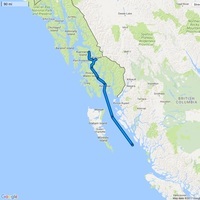 We had stopped through Petersburg and Wrangell during the night. The layovers were short and we really didn’t miss much. 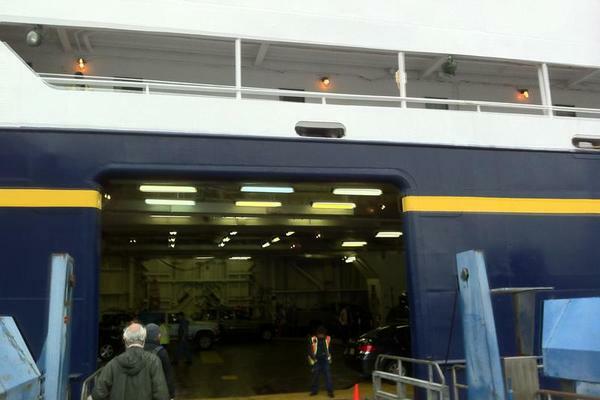 We put our bets on Ketchikan and hoped that there would be something interesting to do while we were there. 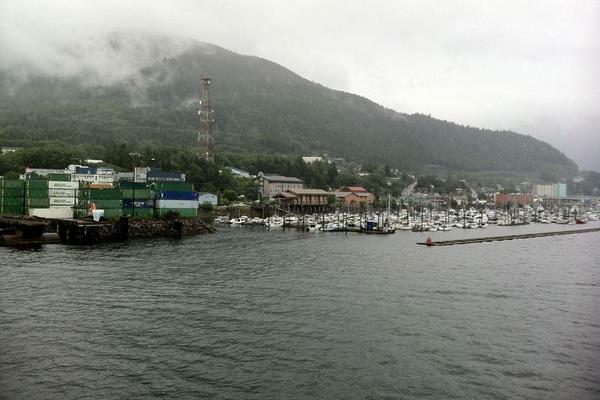 As we inched closer to Ketchikan it began to get cloudier and more moist. 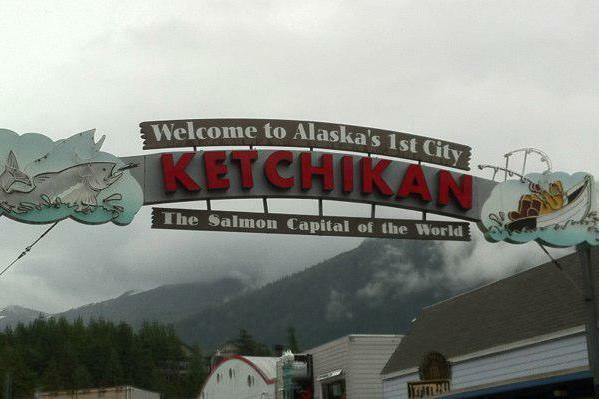 Tip: It rains an inordinate amount in Ketchikan. Be forewarned and be ready! We continued the conversation and I told him I could find him later to get the stuff. Sounded like something to do to me! As we were docking Gregg got some pictures of the planes landing and taking off. 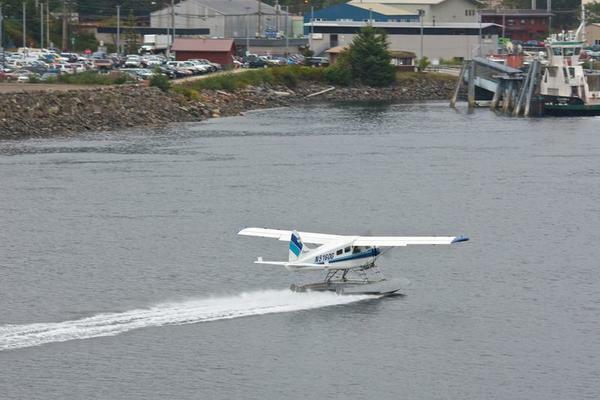 The sea planes seemed to be landing and taking off every minute. 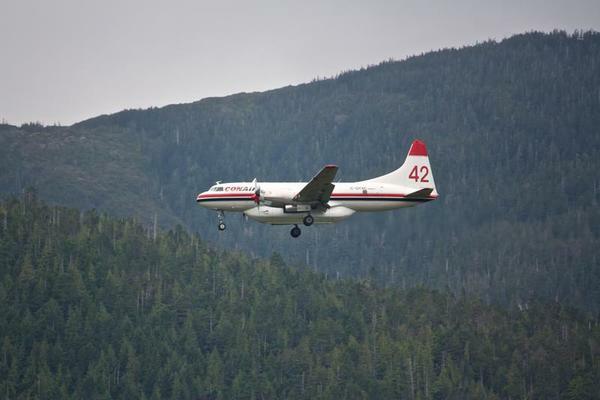 Even more interesting was the fact that they were landing and taking off in the area of water between the cruise ship docks and the Alaska ferry docks. They were flying right above us! As we stood there watching planes fly by and the boat dock I resolved to go downstairs and get my riding jacket. It was starting to rain and if we were walking it wouldn’t be very fun without a rain gear of any kind. In retrospect I wish I wore my pants and boots. We got soaked. I met Gregg and Steve by the end of the ramp and we walked into town. About 15 minutes down the road we found a Safeway and decided to waltz in and grab some food. Steve and Gregg acquired something a little more substantial while I ended up getting some juice and greek yogurt. After lunch we decided to keep walking and return to Safeway on our way back to get food for the ferry and (secret) booze. 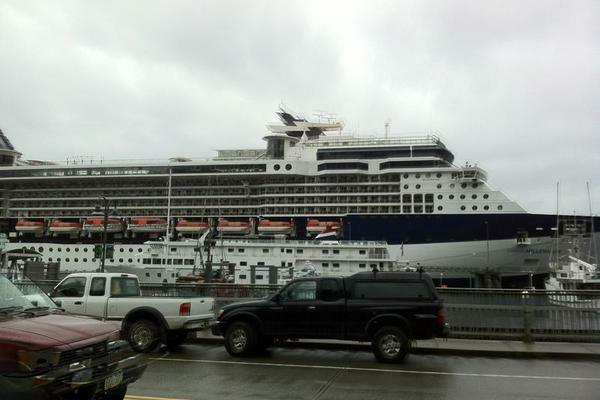 We walked toward downtown and were impressed by the size of the cruise ships. Those things are massive! They definitely made the Columbia seem miniscule. Even though we were getting rained on, we walked every hundred feet it seemed to take pictures. 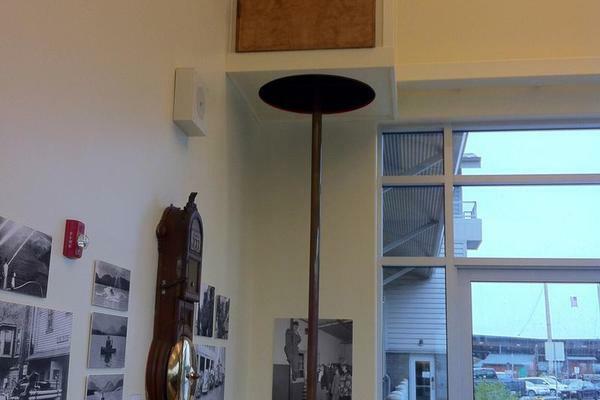 We even walked past a rain meter describing that Ketchikan gets, on average, 154 inches of rain each year. We dodged into shops when we could to get out of the rain and dry off a bit. We also came across some people fishing at the small road bridge looking over the marina. The water was literally jumping with fish and those fishermen (and women) were catching them left and right. Crazy! 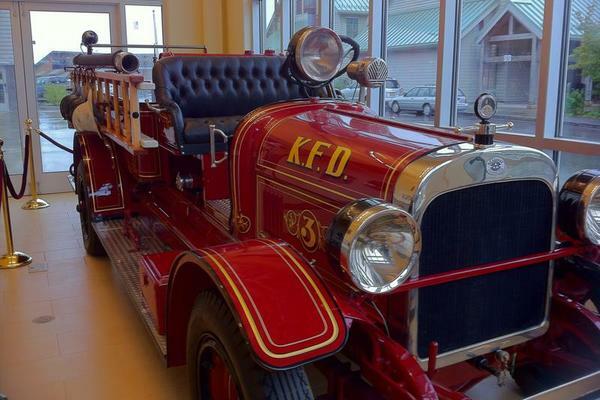 One of my favorite parts about Ketchikan though was the firehouse. 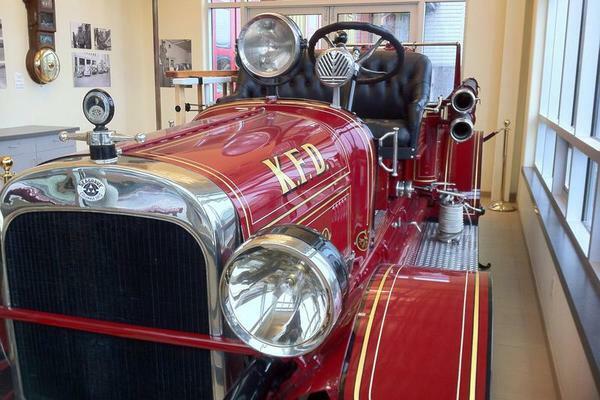 They had a dedicated touristy museum housing an old restored engine and even a fire pole. (which, i’m doubtful, is used for any good purpose these days) We all took some pictures. Looks like they’ve kept it in good shape! We walked all the way down Stedman to the IGA on the other side of town only to decide to walk back. We also had missed the walking portion of the famous Creek Street so it gave us all the more reason to turn around. Sopping and a little cold we made our way over to Creek Street. This part of town was known to be the place to party back in prohibition times. They had “served” the community until the late 1950’s when they finally got driven out of town by the law. The most famous of the houses was Dolly’s house which we had a chance to walk by while taking our little self guided tour. Now, in modern times, all these houses have been converted into tourist traps. We walked in to a couple of the shops. There was even a shop selling all kinds of meats and fish where Steve ended up getting some reindeer sausage. We said goodbye to Creek Street and headed back. We stopped in a few more places. Most interestingly, we stopped into some of the fur places. Gregg wanted a bear pelt to wear at work. Turns out bear pelts are quite expensive. 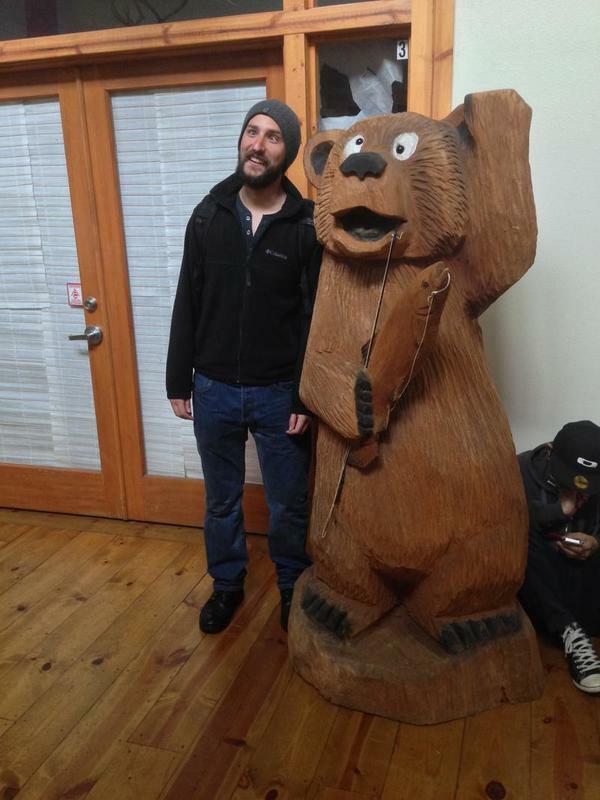 I guess you just have to hunt your own..
We also found a comical wood carving of a bear. Gregg decided to pose with it. Finally we got back to the Safeway where we purchased our supplies. The rain had died down by this point so the walk back to the boat was at least dry. As we walked back onto the boat I took a picture of the grand entrance. Soon enough we set course for Bellingham. As we floated along I got one final shot of Ketchikan. See you later you old soppy mess. I ended up meeting Mike later to grab the costume. The plan was to walk around the boat long enough for his brother to notice and to get a few chuckles from our fellow passengers and crew. Lights, camera, action! 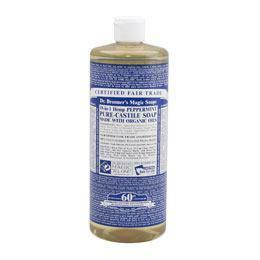 My future acting career awaits on Day 20..
Dr. Bronner’s Castile soap had many uses during our trip. I used it primarily as a face, hair and body wash. Occasionally I even used it for washing my clothes. Since our trip i’ve been tempted to use it on a day to day basis. Note: since all my adventuring, I don’t go anywhere without this stuff. It’s so versitle and lasts a darn long time.